Here's a fact to make you feel old: that picture is from 1994, apparently. But, you know what? Unlike a lot of their peers who got labelled Britpop -- and this band were not entirely part of that scene -- The Supernaturals produced music that transcended its era. Combining big hooks, expert song-craft, and a winning attitude, the lads in the band quickly earned a loyal fanbase...though not so much of one on this side of the Atlantic. Well, I was a fan. I paid nearly $30 USD for the band's first CD at the Virgin Megastore in Times Square, NYC, in 1998. This was in the days before I ordered a lot of stuff online, and when I would otherwise pester any mates in Jane's UK office to buy some CDs for me and mail them over to Jane's US office. And unlike a lot of bands from that era that I never play anymore, the tunes on those first 2 Supernaturals albums always find their way into heavy rotation on my iPod; "It Doesn't Matter Anymore" was a personal fave (again) during my last few months in Hong Kong (during my trudge to work) as it seemed as if my wife's US visa was ready and we were about to fly to the States. The Supernaturals have re-united, or re-grouped, or something and are poised to release a new album on March 1. Called 360, it will feature the original 4 members of the band -- Derek McManus, James McColl, Gavin Crawford, and Mark Guthrie -- and is sure to be full of the catchy goodness us Supernaturals fans enjoyed so much on their earlier records. So far I've heard 3 cuts and they are simply aces! It's like the band never left. Just solid, expert tunesmith-ery -- is that a word? 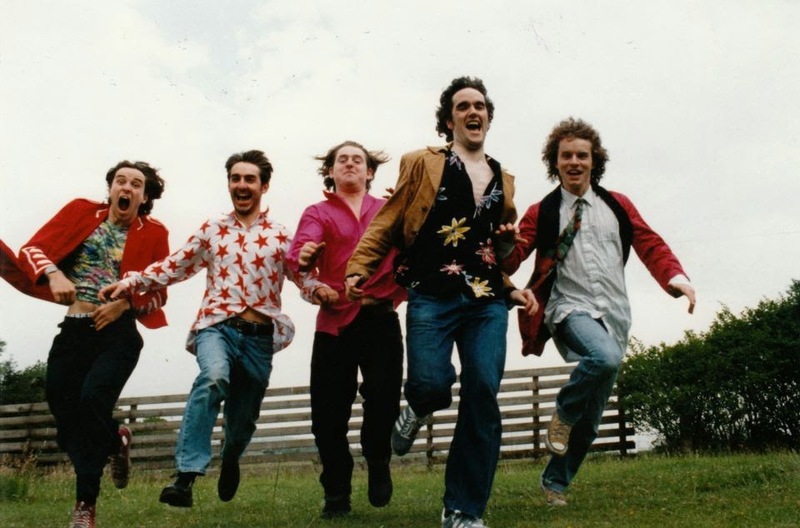 -- here and, more than before, it seems as if the band are Scotland's answer to Crowded House. I think that is the most apt comparison for these cats for anyone out there who didn't get on the bandwagon earlier. Now, until March 1, you need to 1) play "Born Again" below and then 2) head over to the band's new-and-improved official Facebook page and then 3) head over to the band's updated official website (www.thesupernaturalsofficial.com). Welcome back fellas! You never left my stereo!